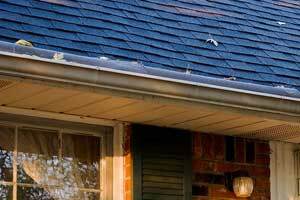 We tend not to think about the gutters on our home until there's a problem. Over time, water runoff from your roof can damage wood trim, cause basement leaks and lead to mold growth. Whether you have a problem with your current gutters or you're just looking to upgrade your home's exterior, custom gutter installation from Leafless in Portland might be the solution for you. During your in-home consultation, we'll go over all the benefits of our gutter products and help you find a solution to fit your home and budget. Contact us today to get a free estimate for gutter installation in Vancouver, Portland, Gresham and surrounding areas! If you notice any of these gutter problem signs, it's best to let an expert inspect your home for further damage. Leafless in Portland will send a highly-trained professional to inspect your gutters and provide you with a free estimate to replace your gutters with a quality solution that comes with a lifetime guarantee. A fascia board is that vertical board at the edge of your roof that gives your roof a trim and neat appearance. 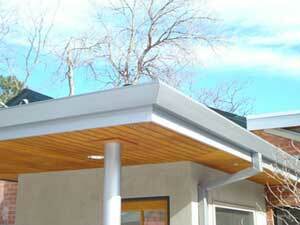 Here in Portland and throughout Oregon and Washington, builders use fascia gutters as an alternative. Some fascia gutters have a wing that's attached to the roof deck. The problem with this "wing back" fascia gutter is you can't adjust the angle, so it simply becomes a shelf for leaves, pine needles and other debris. 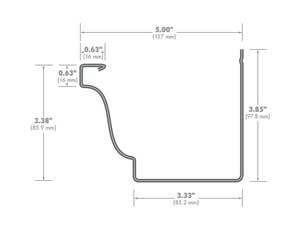 The fascia gutters we install are designed to be mounted at a sloped angle, preventing debris accumulation. They are also engineered to withstand the wet environment here in the Pacific Northwest. Investing in proper rain gutter installation can improve your home’s value and curb appeal and best prevent costly repairs. Make cleaning gutters a thing of the past and choose proven gutter products and installation from Leafless in Portland - your go-to gutter contractor in Portland. Contact us today to request your no-obligation consultation and free gutter installation estimate. We offer gutter system installation in Hillsboro, Tigard, Beaverton, Lake Oswego, Oregon City, Tualatin, West Linn and all of Greater Portland.